We are very proud and excited for the upcoming Future Problem Solving International event in the United States in June. 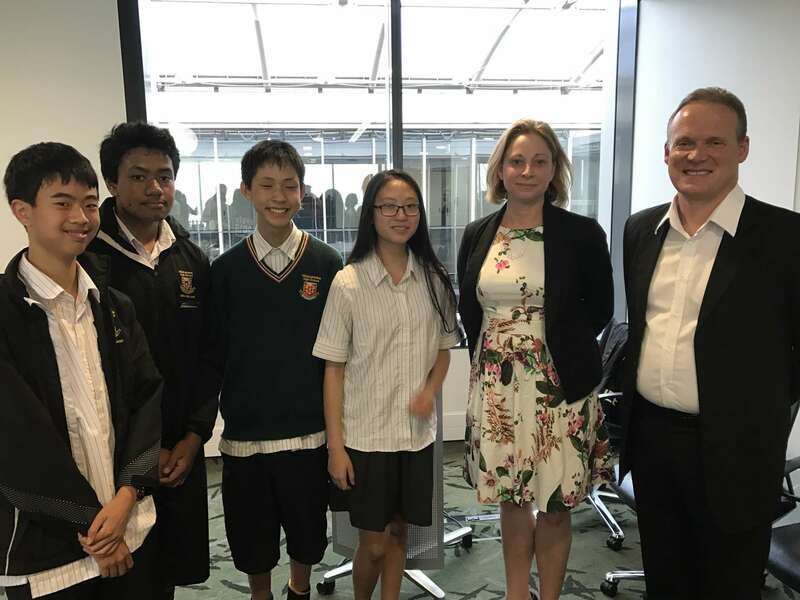 Our team of Year 11 students - John Chen, Okesene Fatu, Aaron Lew and Aimee Lew - are competing at the Internationals for the second year in a row. 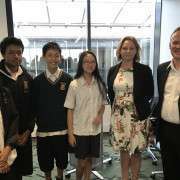 They came 14th last year, solving problems related to Energy of the Future. This year the problem set is on Biosecurity. The team will travel to the University of Wisconsin at La Crosse with the significant support of the Hynds family, and business consultancy EY. The students have given back to their sponsors by attending their workplaces and giving presentations to their staff. This has helped staff understand how their employers have helped to support success in our school. 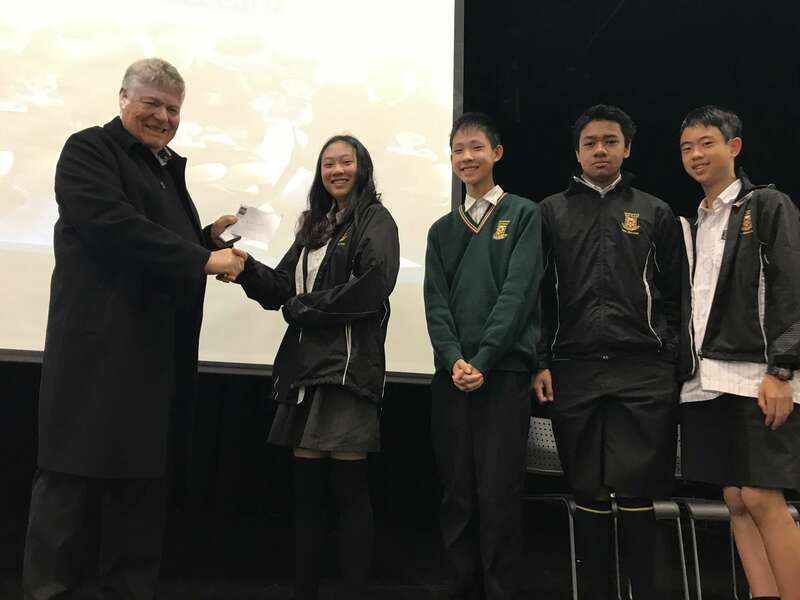 The students have also raised money themselves for the journey through the donation of Royal Society prize money received after winning the national competition. They also ran raffles, including a food basket donated by Nestle. 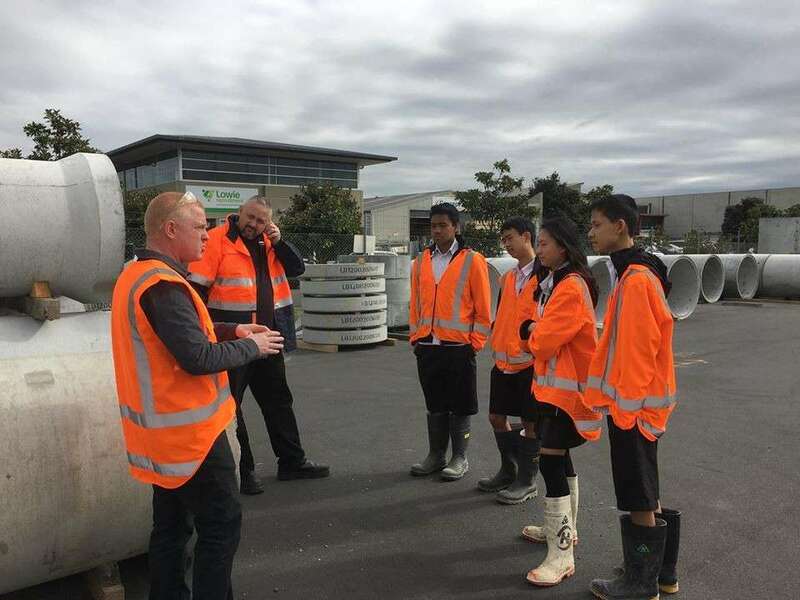 The team at Hynds Manukau branch, learning all about the infrastructure that goes under the ground. The team at an EY staff event with Tori Sullivan from EY and Aaron Hynds from Hynds Pipe Systems. 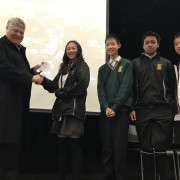 The team with John Hynds at a special assembly to acknowledge the support from Hynds Pipe Systems and EY.